Here's a card I completed. 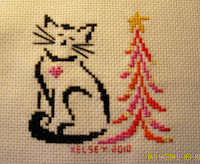 Did it twice actually as it makes a nice card front! 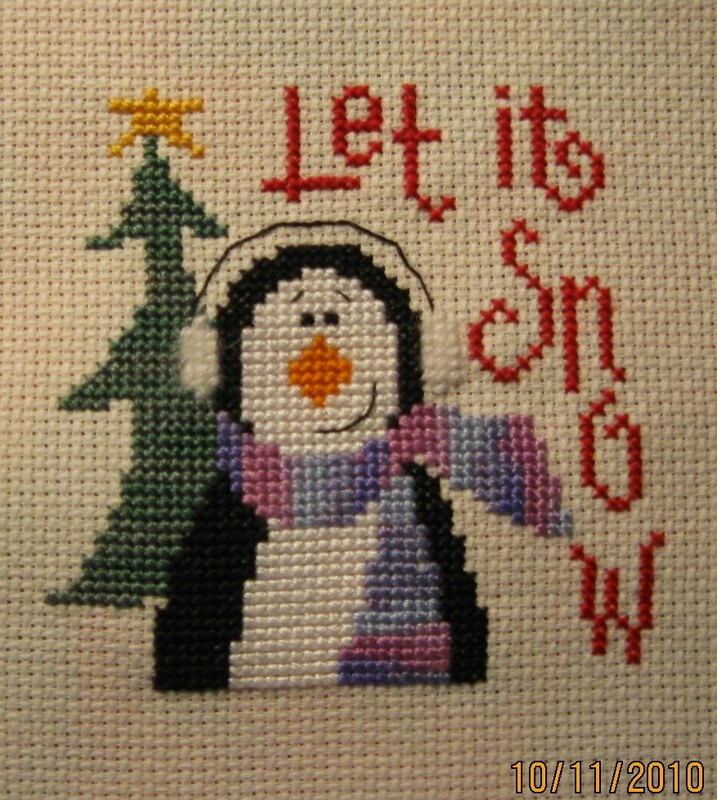 :) It's from Cross stitcher magazine, but cannot remember the issue. 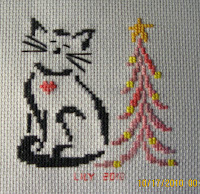 Britty Christmas Kitty by Brittercup Designs. Both these designs are favourites, which I have stitched many times. 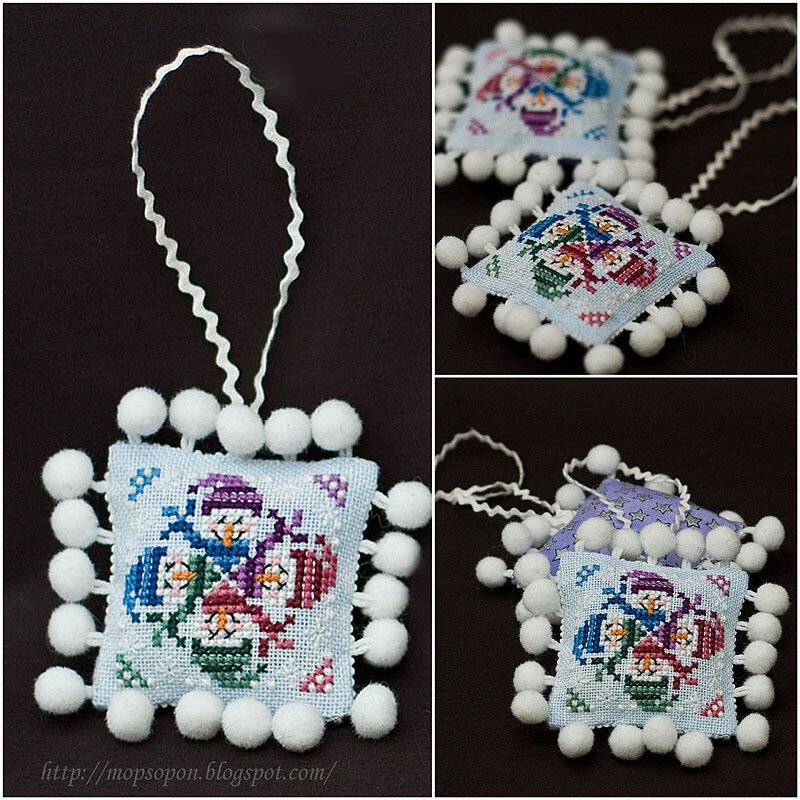 Both are stitched with 1 strand on 22 count white hardanger. 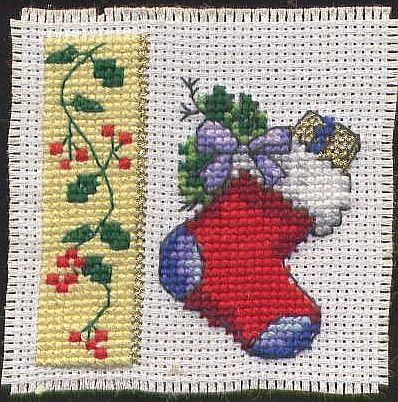 The candycane is adapted from Designs With Scissors' Calendar chart in the Feb 1989 issue of Leisure Arts. The stocking is adapted from LA's Christmas Caboodle leaflet. 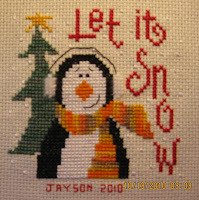 I stitched this summer 2010 relaxing outside, but just completed it into a pinkeep this week. 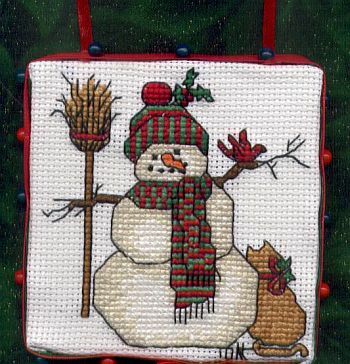 It is a design from Michele Arzaga from Leisure Arts Celebration magazine Christmas 1990. 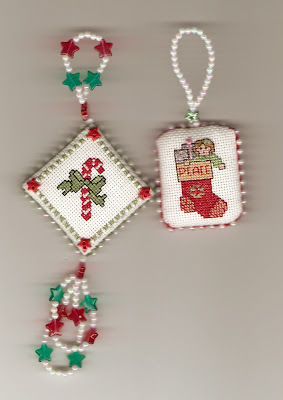 Welcome to the Christmas Ornament Stitch-A-Long where we share pictures of our monthly ornament stitching. We have a virtual stitching circle on the fourth weekend of each month. You may join at any time and stitch on as many or as few weekends as you like. 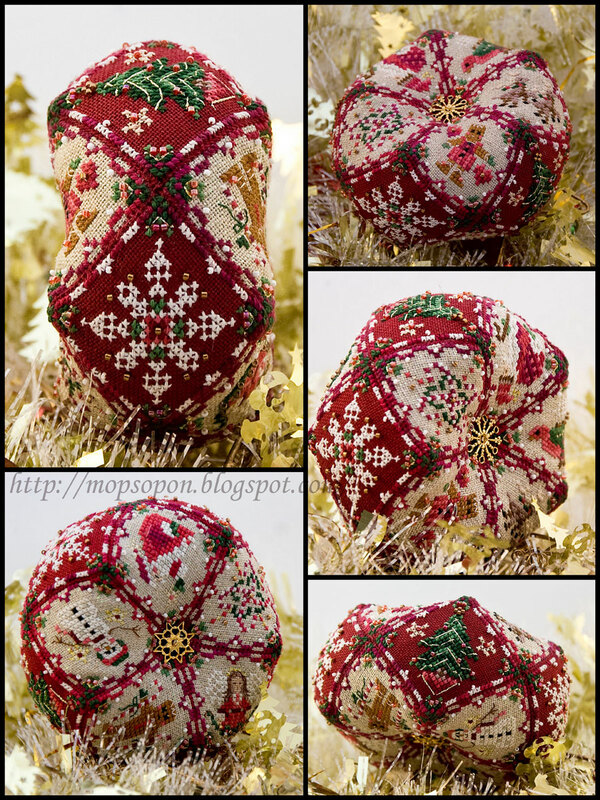 There's no obligation to stitch every month or to finish an ornament every time. 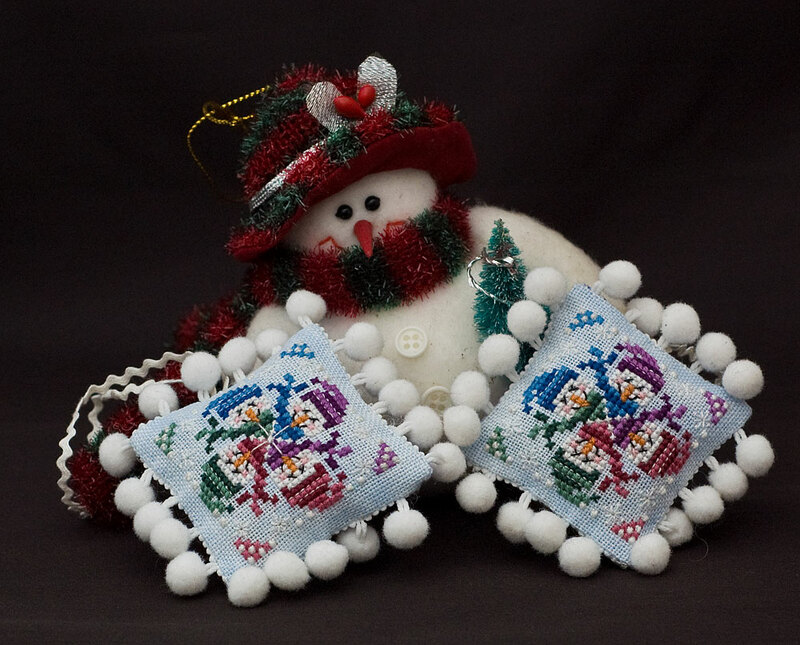 You're also welcome to stitch ornaments at any other time. 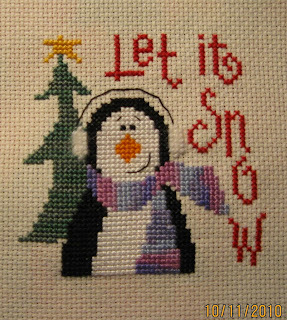 You may SAL with us without being a member of this blog, but to be added to the list of stitchers so you can post your photos here, please email Nicki. PLEASE NOTE!!! If you do not receive an invitation in your inbox, please check your spam folder as some invitations have ended up there. 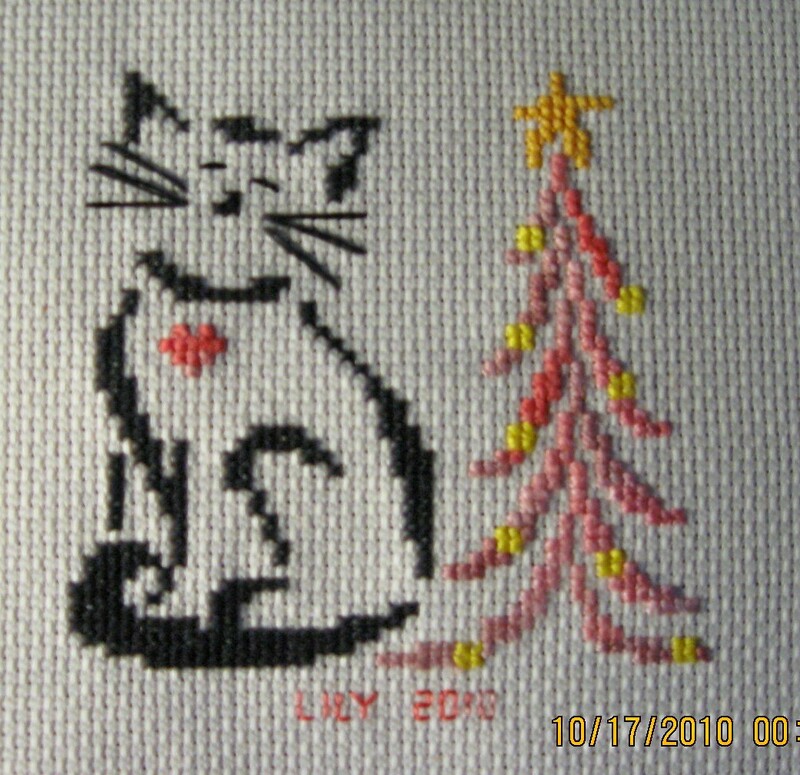 Good labeling makes a SAL blog like this very helpful by allowing stitchers to find exactly what they're looking for without sifting through tons of posts. 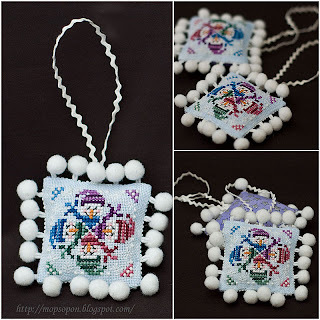 For tips on labeling your posts, click here. Je brode ... et vous? 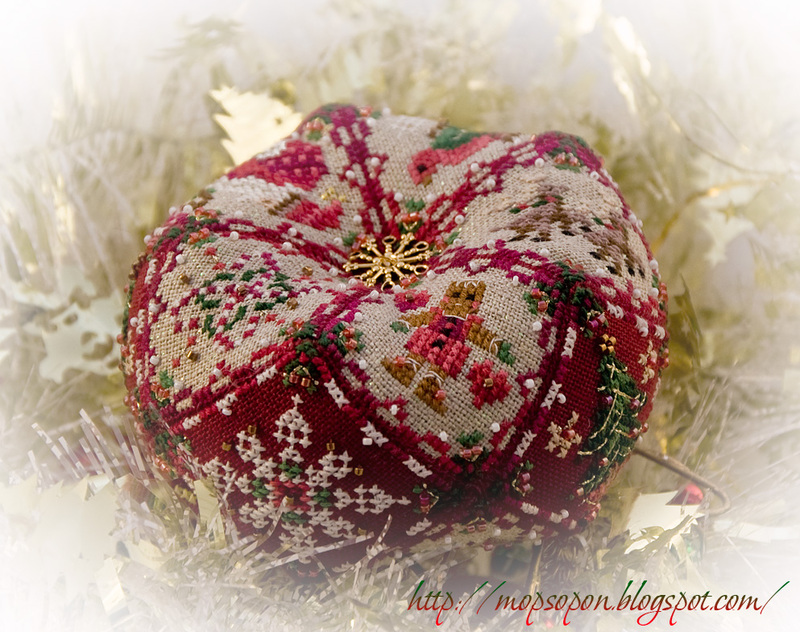 If you enjoy stitching ornaments but have run out of room on your own tree (and the trees of your loved ones), consider donating some to charitable organizations. The sites listed below have been recommended by other stitchers on this board, so check them out if you're interested in helping. PLEASE NOTE!!! It is your responsibility to find out and follow both the guidelines of the charity you are stitching for as well as any restrictions on designs (free or paid) set by the designers. Please contact the charity and the designers for further information.